Linear Recumbents Bikes are Proudly Made in the USA! 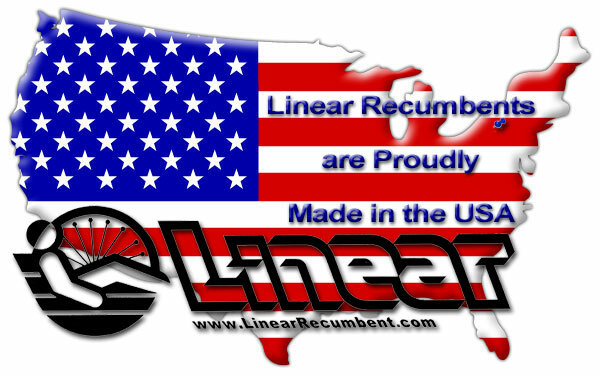 We mean it when we say every Linear Recumbent is made in the USA! Linear Recumbents are the only aluminum USS recumbent bikes Made in the USA today! • Our design work is all done in the USA. • Our testing is done in the USA. • Our custom tooling is all made in the USA. 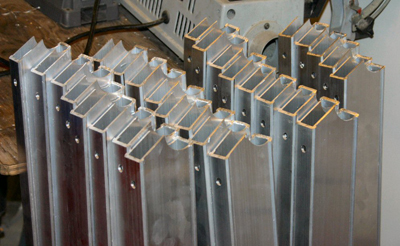 • Our custom aluminum alloy tubing is extruded through our own dies in the USA. 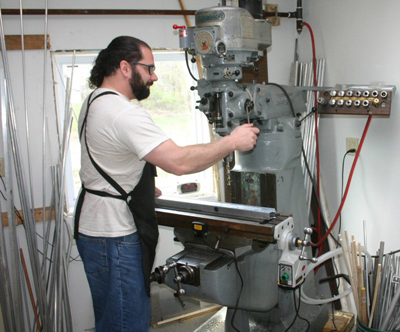 • Every Linear frame is machined, welded and painted in the USA. • Every part of the Linear frame is made in the USA except the bottom bracket shell. • Every Linear is assembled in the USA. • But not every Linear is sold and ridden in the USA! Linear Recumbent Roadster frame production in our production shop in Alfred Station NY. All Linear Recumbents have always been Made in America!